The Miizzzard is a performance-art project in becoming-other. I've exported all the posts for this blog to my new blog. I'm going to delete this blog in a week, so update your subscription or bookmarks if you so desire. This blog has been moved and merged into the new hypercastle. Please update your RSS feedz and bookmarx. 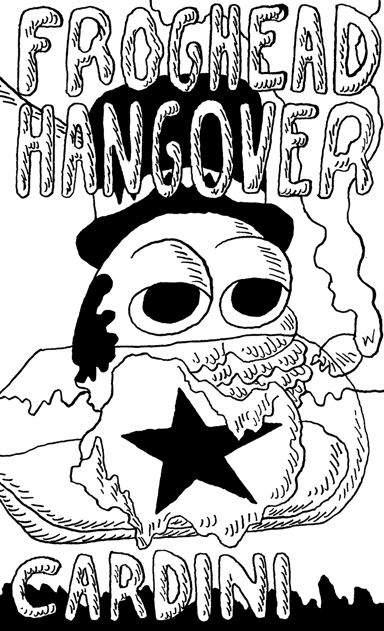 Here's the cover and a couple of pages from my new comic FROGHEAD HANGOVER that I'll have (pending pickup from the printer tomorrow) to trade at MoCCA 2009! The comic is a true story from when I was living by myself in a small apartment in Austin back in 2006 ... When I get back to the ATX I plan on screenprinting a different cover for the for-sale version! Cover for the trade edition. 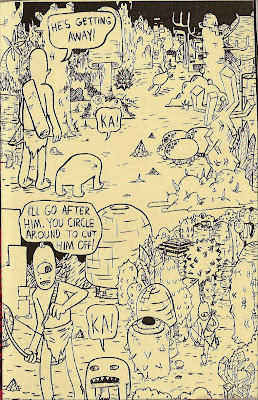 I just received Folk #2 by Tyler Stafford in the mail on Monday. I ordered it after I read the review on Optical Sloth, who, by the way, is well on their way to doing one minicomic review a day in 2009! Just check out the backgrounds in this page, especially the lower-right panel! I love how much detail Stafford puts into his environments, I usually just put in some generic mountains or fill it in with black ... something for me to think about ... 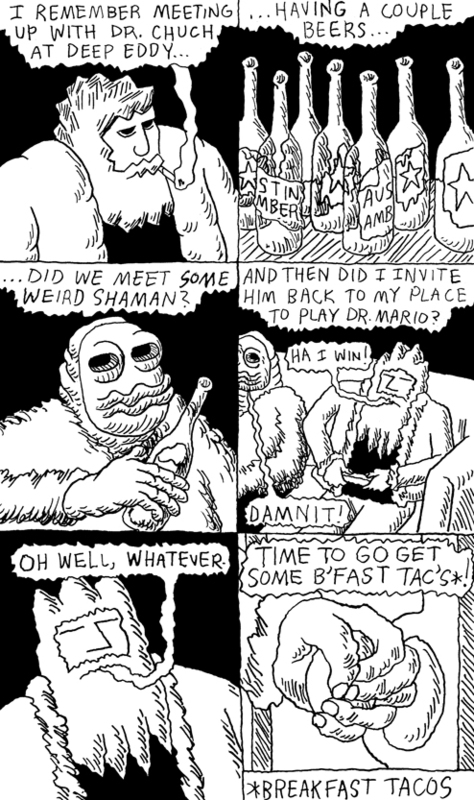 Anyway all of y'all should order Stafford's comics, available through his etsy. "At the beginning of 2008 – I started to create a series of numbered 4x6 inch drawings as an exercise - to start to flesh out ideas for a kind of 'science fiction universe' that I’ve been slowly imagining over the last few years - the idea of a 'Cartoon Utopia...'"
I love the idea and I love the drawings, Ron Reje Jr has always been a force for good in this universe, everyone should buy the Cartoon Utopia mini he just put out! 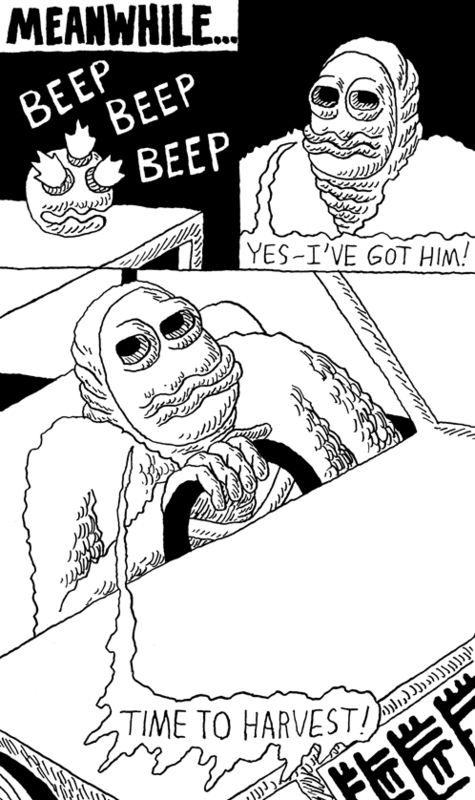 The always hilarious Sam Gaskin has a bed-time comic over at the Sundays comics blog, go check it! Doors open at 7, it costs $8 to get in - all proceeds go towards printing costs!!! Union Pool is located at 484 Union Ave in Brooklyn, NY (718) 609-0484, right near the Lorimer L + Metropolitan G train stops. The Miizzzard is a performance art project in becoming-other. 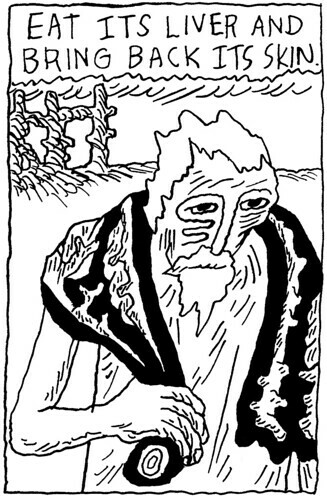 Comics and drawings by William Cardini. I've merged my two personal blogspot blogs (folk sci fi and hypercastle) into one superblog: http://hypercastle.com/blog.